MSG to NSF Converter provides an accurate solution to import MSG file into Lotus Notes format in just a few number of clicks. The tool is designed with an advance algorithm that it allows to convert multiple MSG files contained in a single folder to Lotus Notes NSF format. This application basically makes it easy for the users to open and view MSG file in Lotus Notes without any hassle. Provides Add Folder(s) option to convert multiple MSG files to NSF format at once. 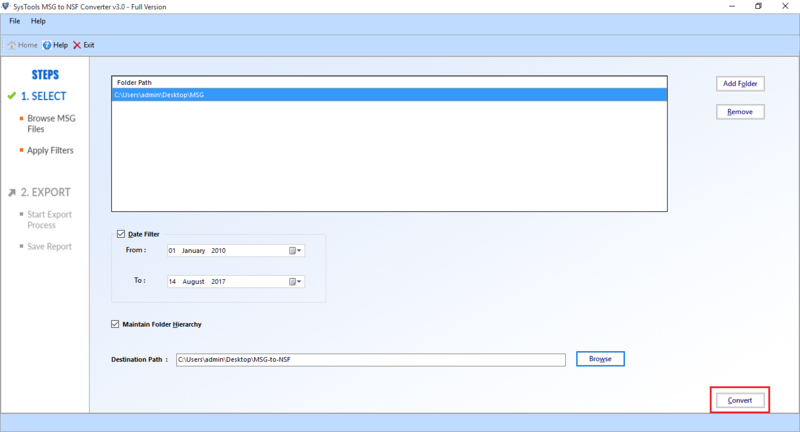 Option to convert selective MSG files from MS Outlook to NSF file format using a date-based filter. The tool preserves folder structure and meta properties during the entire conversion process. Option to save the resultant Lotus Notes NSF file at any desired location on the local machine. Option to save the complete export report at any desired location on the local machine. MSG to NSF File converter can easily be installed on Microsoft Windows 10/ 8.1 and all below versions. Demo version of the tool is available for users to convert only 25 MSG files per folder. 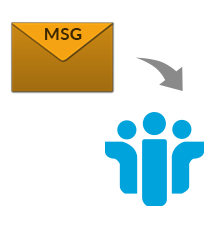 MSG is a file extension that is basically known as email message file format used by MS Outlook and Exchange Server. Like any other email message file format, an MSG file contains plain ASCII text, main message body, hyperlinks and associated attachments. However, it is not at all reliable file format and very much prone to corruption. In addition, the MSG files are exported mainly for the purpose of archiving & storage or get easily infected by any malware. MSG file is not supported by any other application except Outlook and cannot be opened without Outlook. This file is very much prone to any type of virus or malware attack and may result in data loss. Lotus Notes offer a high level of security compared to MS Outlook. Therefore, users want to migrate from Outlook Lotus Notes application. IBM Notes offers many advance features and the more professional environment when it comes for business use. All these reasons force users to export Outlook MSG file to Lotus Notes NSF file. Now, the question arises how? In order to have a simple and best solution, one can simply use this MSG to NSF File Converter software. Outlook MSG to NSF Converter Software is one of the simple, best, and reliable solutions to perform file conversion. It offers many advance features like a date-based filter to make conversion convenient for the users. It has reached the height of popularity only because of its seamless capability and user- friendly interface to export MSG to NSF format of Lotus Notes. Is it possible to export selective MSG file data to NSF file format using this software? Yes, a user can easily convert selective MSG file to NSF file with the help of date-based filter option offered by the tool. 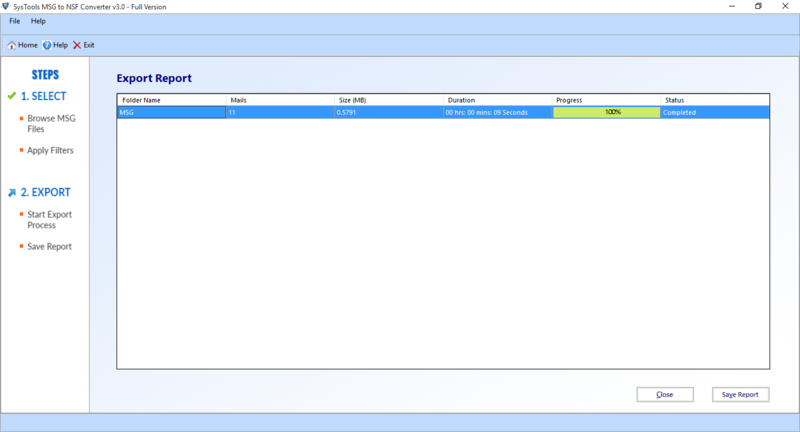 Can I perform import MSG file into Lotus Notes without installing Lotus Notes application on the local machine? No, you are not allowed to convert MSG to NSF with installing Lotus Notes application on the system. 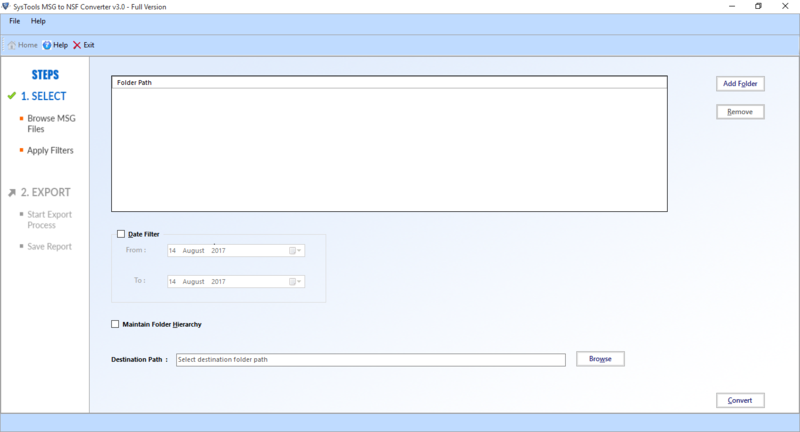 Does the MSG to NSF Converter maintains folder hierarchy while migration? Yes, the tool is smart enough that it does not compromise folder structure during the entire process of conversion. Can I use this application on Windows 10 OS also? Yes, the software is designed in such a way that it can easily be installed and launched on MS Windows 10, 8.1, and all below versions.